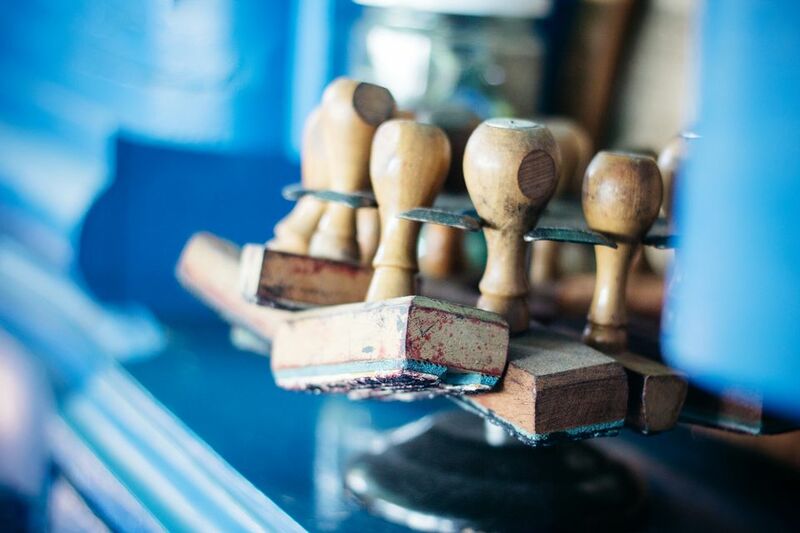 While rubber stamps remain useful for many years, there are times when you want to dispose of some of your old stamps. You may want to clear some space for new stamps or want to dispose of your stamps because you aren't stamping anymore. While you could just throw the old stamps away, you could sell them or pass them on to realize a little extra money or to help a good cause. Whatever the reasons for your wanting to dispose of your stamps, there are plenty of ways you can pass them on without throwing them away. One way to reduce your stamp supply is to sell your old stamps, mainly if they are in pristine condition. You might find someone willing to purchase your old rubber stamps that and are nice and clean. Online auctions such as eBay can be a great way to sell your old stamps. Options include 'Buy It Now' where you set a price and the normal auction where the price is bid to what the customer will pay. Handmade marketplaces such as Etsy and Artfire also allow people to sell off their supplies. If your stamp collection includes rare or hard to find stamps, then you may be pleasantly pleased with the amount that people are prepared to pay. However many old rubber stamps sell for a relatively low amount. Many community groups, charities, and good causes welcome the donation of rubber stamps. They can either sell the stamps to raise some money or use the stamps in arts and crafts sessions. Good causes will also welcome other items such as paper or ink pads. If your old stamps are from companies that have an Angel Policy, let the good cause know as they will also be able to use those stamps to make cards and other items to sell. If you are happy to keep your old stamps for a while, then they could be used to practice new techniques that you would not like to use your best stamps for. You may not want to stamp into hot plastic or wax with your best stamps, for instance, however, your old stamps will be ideal for this type of experimentation. Another alternative to parting with your old stamps is to mothball them. If space is tight, then try unmounting mounted stamps. Unmounted stamps are easier to store taking up much less room. Before you store stamps for any length of time ensure they are clean and dry. Store the stamps so that the stamp side is laying on a flat surface. This will help to avoid damage. Rubber should be kept out of extremes of temperature and direct light.